A number of studies in the past few years have pointed out that both children and adults who do not get enough sleep each night are at much higher risk of becoming overweight and obese. The mechanisms involved with this problem are now becoming clearer. Your adrenal glands make cortisol, a hormone that is naturally highest in the morning to help you get going. It gradually tapers off during the day to its lowest levels prior to going to bed. Stress always elevates cortisol at any time of the day, and those under ongoing stress eventually develop abnormally elevated cortisol later in the day leading to a host of health problems involving chronic wear and tear, poor mood, poor sleep, inflammation excess, and extra risk for just about anything. A new study points out that the lack of sleep1, all by itself, is enough to inappropriately raise cortisol later in the day. Too much cortisol turns off fat burning gene switches in your liver, leading to obesity risk. 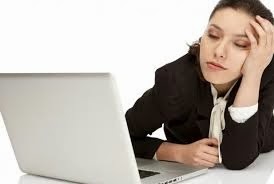 At the same time too little sleep causes leptin levels to drop in a way that makes you hungry, causing you to eat more. Thus, lack of sleep sets the stage for stress problems, poor mood, food cravings, and general tiredness – which in turn further disrupts your sleep. If this self-perpetuating set of circumstances is not solved then obesity is more likely and losing weight is going to be really hard. Simply making the conscious effort to get more sleep on a consistent basis is important for many. Others can benefit by using sleep support nutrition to help relax and get a better nights sleep. Certainly, if you had a bad nights sleep then you should use extra nutrients to boost your energy and help prevent food cravings, otherwise you will be at risk for overeating. Based on this new cortisol data, this problem with your cravings is likely to set in by the afternoon following any poor night’s sleep. Of course, the stress of not getting enough sleep will be magnified by any other forms of stress you must deal with. Nutrients are a great tool to help keep you above the fray and feeling in control.